No mother had more at stake in the war than widow Esther McCabe, whose 11 sons all served overseas. Esther McCabe had 12 children. That was a lot, even in the 1940s. But it wasn’t what really made her stand out—nor was the fact that 11 of her children were boys, or that she raised them alone. Her claim to fame was that all 11 of her sons were in the military in World War II. It didn’t take long for all of America to find out about that. On Mother’s Day the following year, when still a mere 10 of the McCabe boys were serving their country, the organization War Mothers in the United States named McCabe the Nation’s Number 1 Mother. Soon afterward, another McCabe signed up for service, and his mother earned the unique distinction of having 11 sons in the war. Eight were in the army, two in the navy, and one in the merchant marine. She also had a daughter, Alice, the sole remaining civilian of the bunch. Before long, McCabe received another award, Pennsylvania’s Number 1 War Mother, from the Pennsylvania Newspaper Publisher’s Association. Soon, she began appearing as a guest on regional and national radio shows. Like the family McCabe raised, the family she came from was a large one. Born in 1889, she was one of eight children of Thomas and Alice Scanlan, who lived on a slice of west-central Pennsylvania’s Washington Township that’s still known as Scanlan’s Hill. 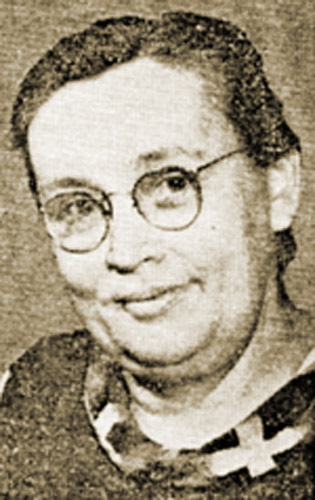 She and her sisters Ruth and Margaret were educated to be teachers, and she earned her teaching certification from Indiana Normal School (now Indiana University of Pennsylvania). After giving birth to her first son in 1909, however, she refocused her efforts from pursuing a career to raising a family. By the time the United States was drawn into World War II in December 1941, Esther had been raising her 12 children alone for eight years. 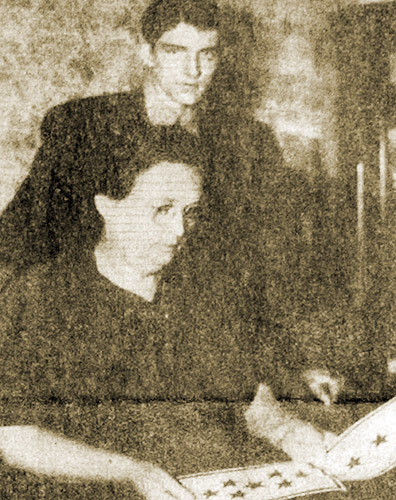 Her husband, Emmett, a United Mine Workers organizer, had died in 1933 (he was hit by a train in what was ruled an accident, but which some suspected was foul play). McCabe stayed put in their house in the small coal town of Lilly, a few miles north of Scanlan’s Hill. Jim signed the papers to join the navy in 1943 and entered the service in 1944, still a few months shy of his 18th birthday. “When I was growing up, all of my friends’ fathers were in the service,” he says. “That is what you wanted to do. I thought that the war would be over before I could get in, so I joined a little bit before I had to.” After the war, Jim returned to Lilly to work in the coal mines, but after a short time, he decided that life on the seas was better than toiling underground. He re-enlisted in the navy and stayed for 20 years before settling in Illinois.